Recurrent shoulder instability is commonly associated with Hill-Sachs defects. These defects may engage the glenoid rim, contributing to glenohumeral dislocation. Two treatment options to manage engaging Hill-Sachs defects are the remplissage procedure, which fills the defect with soft tissue, and the Latarjet procedure, which increases glenoid arc length. Little evidence exists to support one over the other. We performed a biomechanical comparison of the remplissage procedure to the traditional Latarjet coracoid transfer for management of engaging Hill-Sachs defects in terms of joint stiffness (resistance to anterior translation), ROM, and frequency of dislocation. Eight cadaveric specimens were tested on a shoulder instability simulator. Testing was performed with a 25% Hill-Sachs defect with an intact glenoid and after remplissage and Latarjet procedures. Joint stiffness, internal-external rotation ROM, and frequency of dislocation were assessed. Additionally, horizontal extension ROM was measured in composite glenohumeral abduction. After remplissage, stiffness increased in adduction with neutral rotation (12.7 ± 3.7 N/mm) relative to the Hill-Sachs defect state (8.7 ± 3.3 N/mm; p = 0.016). The Latarjet procedure did not affect joint stiffness (p = 1.0). Internal-external rotation ROM was reduced in abduction after the Latarjet procedure (49° ± 14°) compared with the Hill-Sachs defect state (69° ± 17°) (p = 0.009). Horizontal extension was reduced after remplissage (16° ± 12°) relative to the Hill-Sachs defect state (34° ± 8°) (p = 0.038). With the numbers available, there was no difference between the procedures in terms of the frequency of dislocation after reconstruction: 84% of specimens (27 of 32 testing scenarios) stabilized after remplissage, while 94% of specimens (30 of 32 testing scenarios) stabilized after the Latarjet procedure. Both procedures proved effective in reducing the frequency of dislocation in a 25% Hill-Sachs defect model, while neither procedure consistently altered joint stiffness. 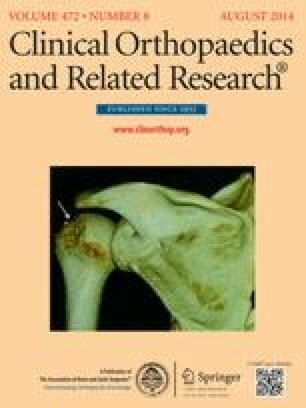 In the treatment of shoulder instability with a humeral head bone defect and an intact glenoid rim, this study supports the use of both the remplissage and Latarjet procedures. Clinical studies and larger cadaveric studies powered to detect differences in instability rates are needed to evaluate these procedures in terms of their comparative efficacy at preventing dislocation, as any differences between them seem likely to be small. The institution of the authors has received funding from the Academic Medical Organization of Southwestern Ontario (London, Ontario, Canada) and the National Science and Engineering Research Council (Ottawa, Ontario, Canada).